Exciting news in the beauty world! 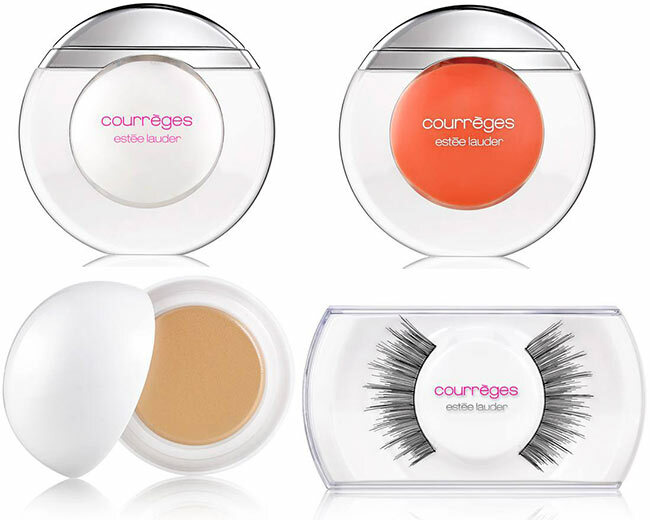 The famous luxury American cosmetics brand presents its spanking-new Estee Lauder Courreges spring 2015 makeup collection, a limited lineup of 13 innovative products inspired from the iconic Courr‚Äö√†√∂¬¨√Üges mini dress and the Space. It’s the super lightness, translucency and the eye-popping color palette of the products and the futuristic design of the pieces that make this collection one of the most sought-after cosmetics lines of the new season. Both the brands are known for their innovative concepts and styles, therefore their partnership gives birth to a “pop-timistic’ limited edition collection, which centers around fun zero-gravity colors, rich textures and special effects for the lips, eyes and the face. While Estee Lauder strives to prove that “every woman can be beautiful’, André Courr‚Äö√†√∂¬¨√Üges breaks all the style stereotypes with his futuristic designs that stand out with their playfulness and movement. 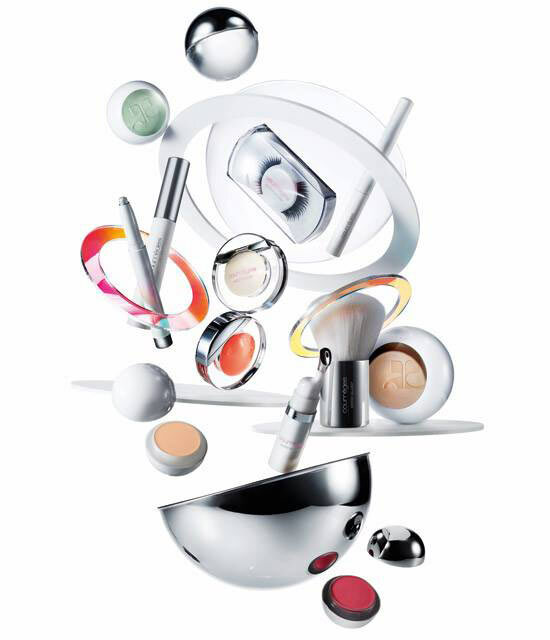 Thus the Estee Lauder Courreges spring 2015 makeup collection brings forth an innovative interpretation of color and unique formulas that aim to make you look fresh, creative and just perfect! 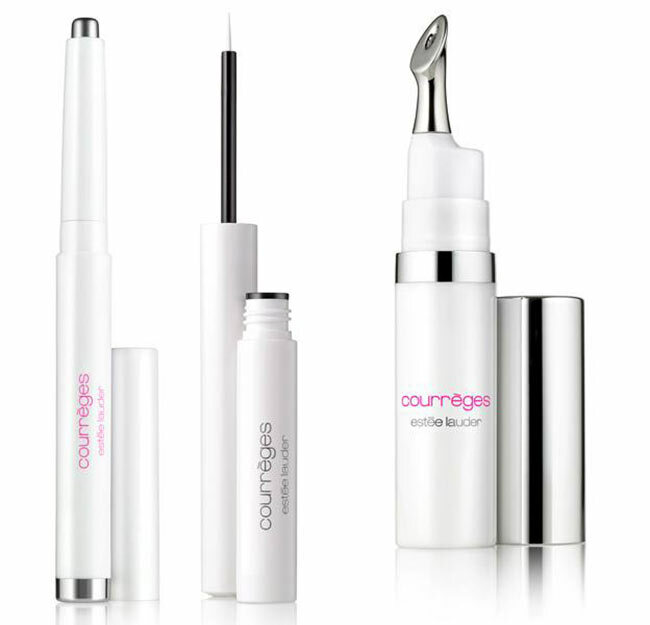 This isn’t just another ordinary lip-gloss that you might already have in your beauty kit. This innovative product features a high shine reminiscent of the transparent designs of Courr‚Äö√†√∂¬¨√Üges, as well as boasts a balmy formula and a wet effect it gives to the lips. With a single brushstroke you ensure your lips look smoothed and glossy, ready to make your beloved one melt for a kiss. As the name of the product already hints, it’s a high coverage and high-impact lip-gloss in a soft pink tone, which will put all the focus on your healthy and flawless lips. Wear it every day or with your party makeup looks, if looking fresh-faced and radiant is your aim. Twiggy lashes are back to fashion and they can change so much in your looks. Getting spider lashes is the aim of most of the trendy fashionisers nowadays, and if you aren’t granted with naturally long and flirty lashes, opting for quality falsies is the first thing you might want to do. These eye accessories presented by Estee Lauder look super natural, at the same time capable of enhancing the length and fullness of your natural lashes. You’ll need to trim them according to the length of your lashes for a more natural outcome prior to their application. Apply a thin layer of lash glue, wait for 30 seconds and then press them onto the inner corner of your eyes, making your way to the tail. 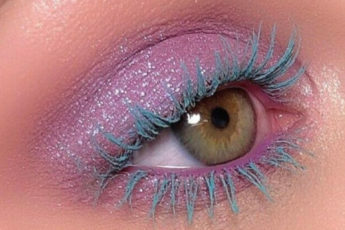 To remove them at the end of the day, you’ll need to slightly pull the lashes from the edge. Available in a creamy silver tone, this eye pencil can be used for lining and defining your lids, brightening up your eyes and making them look more dramatic. Apply it either with your fingertips for a more smokey effect or simply line both the upper and lower lash lines for a statement-making look. White plays an important role when it comes to creating fresh and futuristic looks, so no wonder, the collection also brings this opaque liquid eyeliner in white to add a vinyl finish to your eye makeup. The dip-in fine brush the product comes packed with makes the process of creating the perfect feline flick so easy and fun. Inspired by the colorful wigs André Courr‚Äö√†√∂¬¨√Üges used for his art-directed playbook, this hair mascara comes in an eye-popping color to instantly highlight your hair. Apply it on dry hair after styling, avoiding the eye area and wait for a minute or two for the color to set. To add lucidity and transparency to your skin, which is the fondness of Courr‚Äö√†√∂¬¨√Üges in fashion and style, you’ll need this iridescent powder gelée that comes packed with a plastic orb applicator to make the entire application an easy and fun process. Dot the cream on your cheekbones and temples to instantly highlight and illuminate your face. Add a velvety finish and a high glow to your skin brushing this silky-effect powder over your face. It boasts long-lasting properties and a good quality that can hardly be ignored. Featuring soft and white lush bristles, this is a must-have product for contouring, highlighting, blending and mattifying. Moreover, it’s the right tool you need to apply the Illuminating Face Powder uniformly. This universal product comes in a translucent berry tone and acts as a great tint for the lips, as well as for giving a rosy glow to the cheeks. 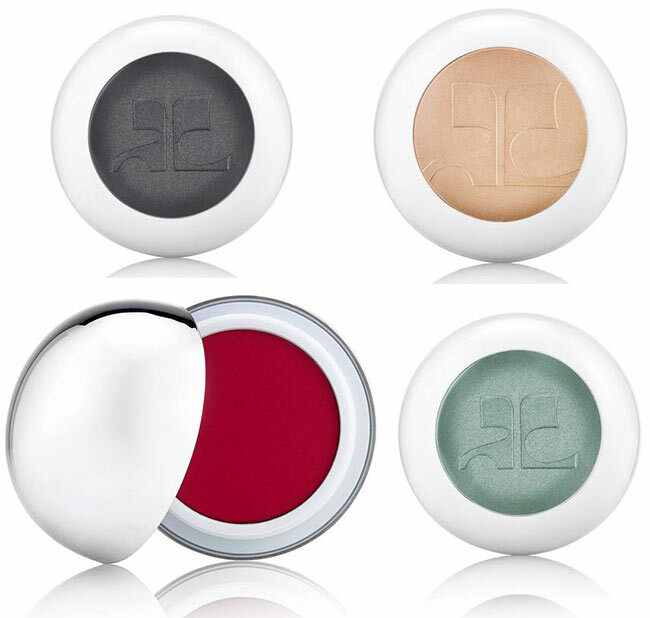 The U.S. launch date of the Estee Lauder Courreges spring 2015 makeup collection is scheduled for the beginning of March 2015, and it’ll be available for purchase at all the Estee Lauder counters nationwide.